The Nissan LEAF is 100% electric. That means no gas. None. So forget about the cost of a gallon, and say hello to freedom from the pump. You’ve probably never felt anything like its instant torque. The power is there when you touch the pedal. There is no lag, no revving-up or shifting gears-it just goes, up to about 90 miles an hour! Say goodbye to the vibration and engine noise of every other car you’ve ever driven. The advanced 80kW AC synchronous electric motor provides the quietest, smoothest ride you’ve ever experienced. The home charging dock lets you refuel your LEAF in the comfort and convenience of your garage. Charging stations by the thousands are springing up all over America. They’re usually located in electric-vehicle-only parking stalls. 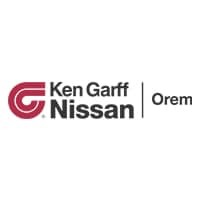 In fact, our own store–Ken Garff Nissan of Orem–offers a quick charge station capable of charging your LEAF to 80% in 20 minutes! It gives you instant torque (100% off-the-line) and a low center of gravity for a seriously fun ride. What is the MPG equivalent of driving the Nissan Leaf? It can go an estimated 100 miles on a single charge, and doesn’t use a drop of gas. Nissan Salt Lake now offers Quick Charge Stations–which charge your leaf to 80% capacity in 20 minutes! At home it may take up to a few hours, depending on your charging hook-ups. Is it truly zero emissions? There are really ZERO emissions, so it doesn’t even need a tailpipe. The advanced electric motor provides the quietest, smoothest ride you’ve ever experienced. Anything else I should know about the Leaf? It’s got room for five, plenty of cargo space, and a cool modern interior. Check out our inventory!